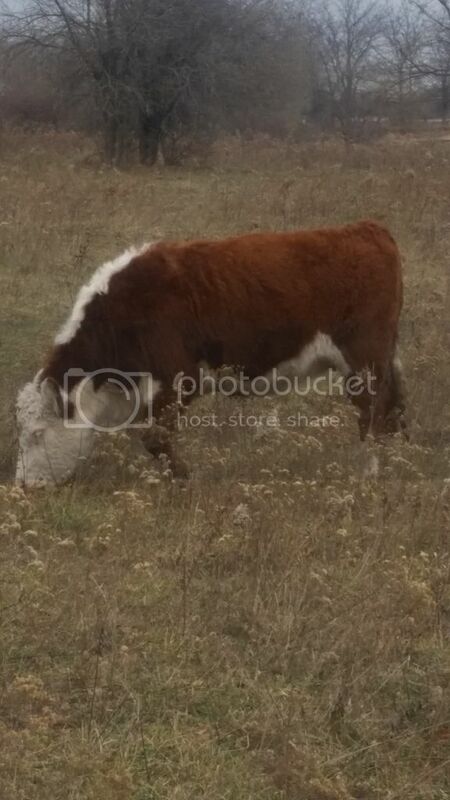 Got a couple bred heifers I THINK I am going to try and sell. Depends on what they bring. What do in guys think they will bring. I know it' just depends but thought I would ask. Pretty girls. Spring bred? Papered? The smart azz answer is they'll bring what they are worth in your area. I like them and if you were down the road from me I'd give you $1,500 per head. TennesseeTuxedo wrote: The smart azz answer is they'll bring what they are worth in your area. I like them and if you were down the road from me I'd give you $1,500 per head. Lol. Yes registered, yes bred for March to registered bull. A local guy told me no one will want them. Offered .75 a pound. 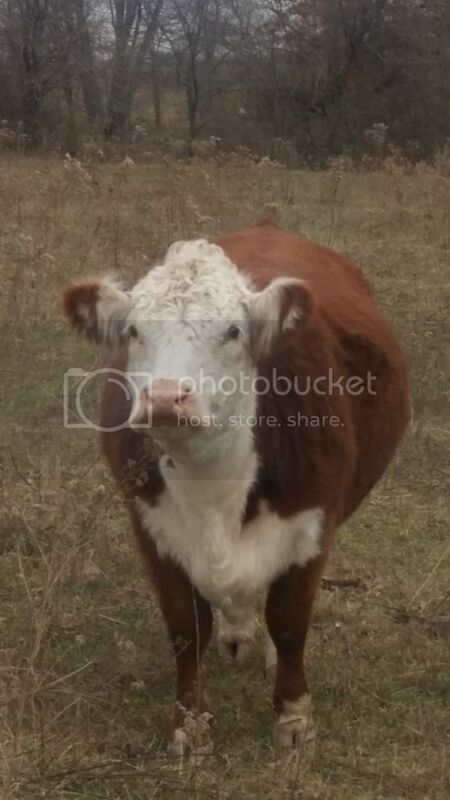 I haven't sold any bred heifers so don't really know but for .75 a pound I will keep them. Sounds like your local guy is trying to get you selling him cheap cows. Just my humble opinion, but I would not sell them for .75. Since they are registered you probably have some advertising options. Like others have said I would not take less than $1500. JHH wrote: Lol. Yes registered, yes bred for March to registered bull. Pretty girls indeed. I can't offer much as the freight and import paperwork would take a considerable chunk of the cost, about 1/2 I suspect. You obviously can find a good market for them in Kentucky. Nice heifers, JH. I wish you were closer, they would fit right in with my March group. Put them on Cattlemen's connection on Facebook. People are paying way more than I would on there. The farm is little over three hours away from you. Were they bred to a hereford bull? I may have interest in them if I can find room. PM me a price you want for them and I will see if it works for us. 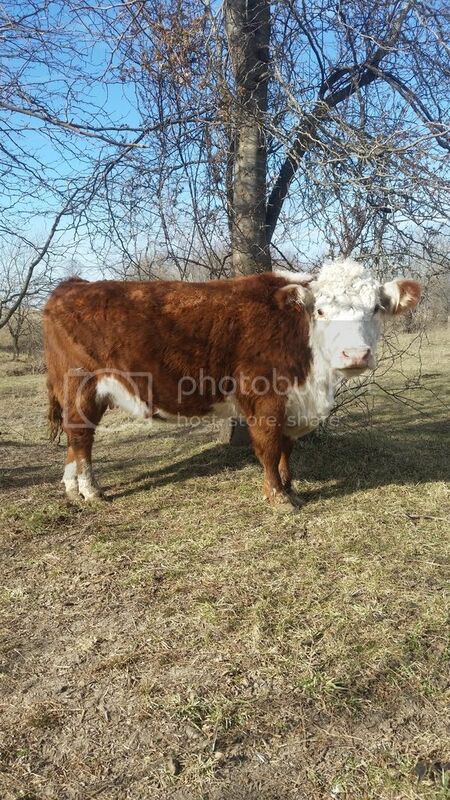 Nobody around me letting reg bred hereford heifers go for less than 2k...similiar quality as yours there. Your local feller is trying to get them at commercial price. Cant blame a man for offering. Looking like their yours ez..
bball wrote: Nobody around me letting reg bred hereford heifers go for less than 2k...similiar quality as yours there. Your local feller is trying to get them at commercial price. Cant blame a man for offering. He's trying to get them for kill cow pricing, which I find insulting, and I do blame people who try to rip other people off.